Are you sure about this? I seem to remember the Brewers having the correct font. I know because it would have driven me batty as well. Since All Star Baseball was about as accurate as you could get as far as unis, and I owned them both. NBA Jam for Sega Genesis had some of these types of issues. If I remember right, whenever you were ever the Phoenix Suns in that game, and played against a blue or purple team, it would make the Suns wear white jerseys with bright yellow trim. Also, even though it had the new Bucks logo (purple), it still had the Bucks wearing white/dark green/light green. NBA Live 98 for Sega Genesis had some weird stuff going on, too. I remember that for their Wizards court, the out-of-bounds flooring was bright gold. I know that's not a uniform issue, but it's still a glaring weird color issue. 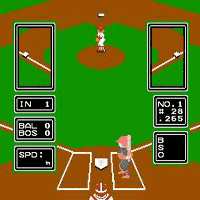 RBI Baseball for NES had the California Angels wearing light blue and purplish-pink. Slightly more understandable, but still inaccurate, it also had the Astros in all-orange uniforms. 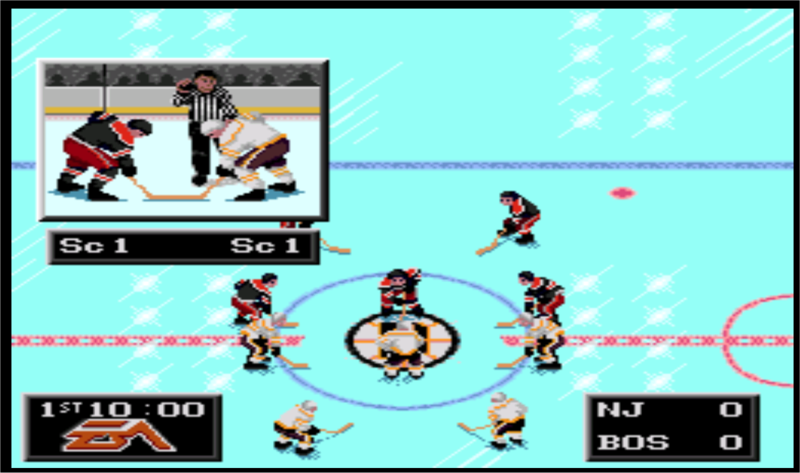 ...RBI Baseball for NES had the California Angels wearing light blue and purplish-pink. Slightly more understandable, but still inaccurate, it also had the Astros in all-orange uniforms. See, I think those are more about the limitations of the systems. The Red Sox were red and blue, so they couldn't have another team also be red and blue, since they couldn't show logos or pinstripes (not that either team had them) or anything like that. Madden 12 has teh Lions with half-old logo and half-new logo. IN the scoreboard it has old and I think on helmets, but everywhere else I see the new one. Yeah, it is excusable in the earlier systems. Nintendo, SNES, Genesis with the limited color pallets and who can forget when you had the licensing issues too. City names yes, team names no. 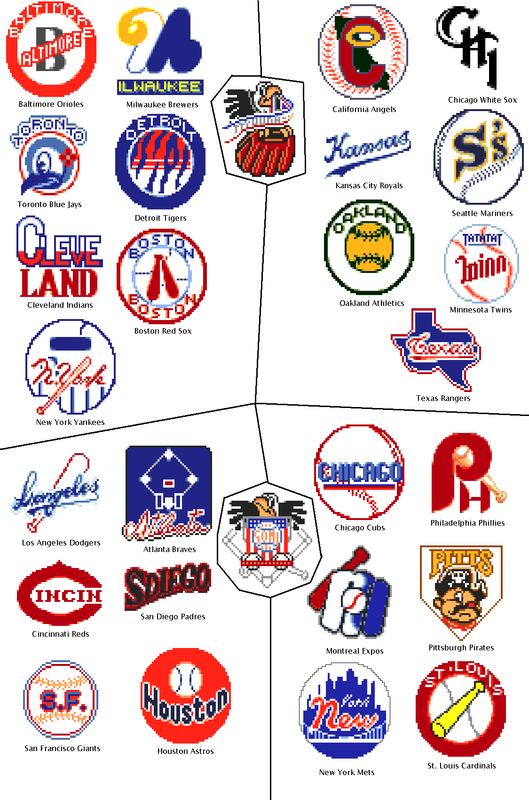 Logos, lol I remember Sports Talk Baseball. The Milwaukee logo was some kind of Expos hybrid lol. I will try and find a pic. Anything post X-Box and PS2 is inexcusable, the rendering is so much better. It's more on the R&D department and the artists. I remember NFL 2k5 had a gold alternate for the Packers, I guess because, like the real world today everyone had to have an alternate. Yup, NHL 16 also has a number of irritating colour inconsistencies, mostly with equipment colour customization, but I have noticed that the New York Rangers blue in their home and road uniform is a much more lighter shade than it's supposed to be. 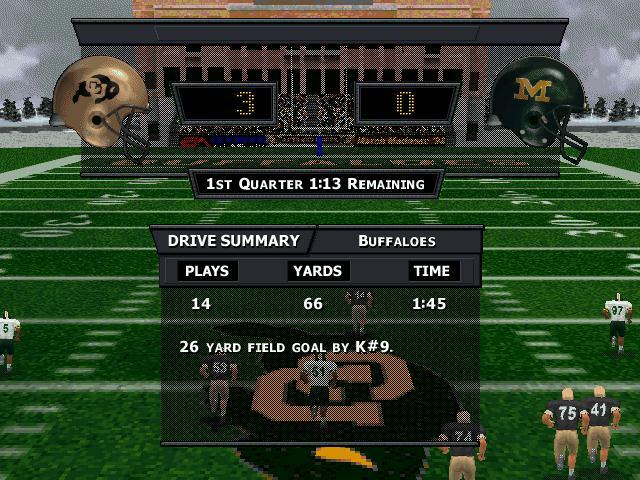 Now that I'm awake enough to remember em: EA's Arena Football games, mostly the unlockable teams. EA gave the Oklahoma Wranglers early 2000s Miami ripoffs like the unrelated Austin Wranglers wore at the time, only they never wore anything remotely resembling it (their real uniforms featured jerseys with maroon torsos, black sleeves and a silver yoke [with the traveling whites having silver sleeves and a maroon yoke]), while the New York Cityhawks only had the gold helmet...with purple home jerseys, white roads and white pants (three things the Cityhawks never wore in their brief existence. Their 1997 uniforms featured gold helmets and pants with black jerseys...and gold jerseys worn with black helmets and pants; in 98, they wore all black at home, all gold on the road). Another swing and miss was the Houston Thunderbears, I forget what EA gave em, but I think orange pants were part of the game version's road uni. I do remember what was nowhere in sight: the orange thunderbolts that'd adorned the RL jerseys and pants. They probably got the Detroit Fury wrong, but those disgraces only deserve to be forgotten That I was surprised they managed to get the Milwaukee Mustangs exactly right is kinda sad. -- The system couldn't do royal blue or navy blue in the uniforms, so the Astros (home accs and road unis(?! )), Tigers, Red Sox (road accs), Cubs, Dodgers, Blue Jays, White Sox, Royals, Mariners and Rangers (road accs) all used the same replacement color.....purple! The Mets, Indians, Brewers and Rangers (home accs) had a different color....light purple! So what about the Braves, Expos (home accs*) and Twins (home accs*)? This blue. The Yankees? They used black, so they looked exactly like the Giants. Until NBA 2k came out for the new gen consoles (PS4, One) they messed up the blue of the Knicks uniforms every time. 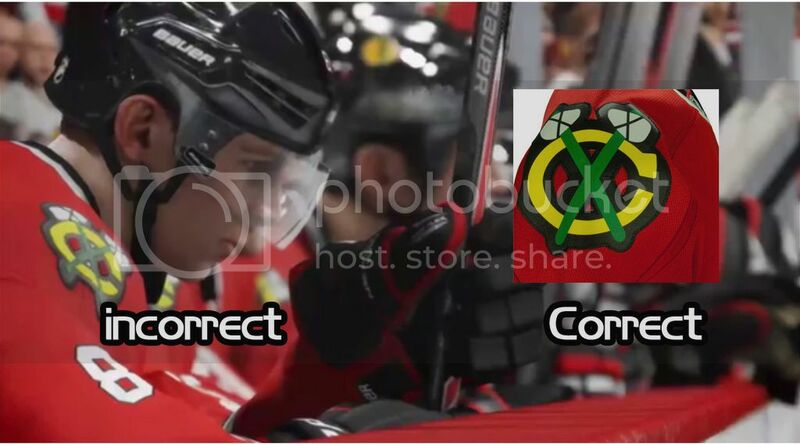 The unis itself were accurate, but they just used the colours from the official logos. This bugged me so much that I couldn't play as them, because it just looked like they were the Thunder. Are you talking about the MLB game made by LJN? I loved that game. You could pick your lineups. I loved making all star teams. My Orioles in anthracite and peach! It's not a problem with the uniforms themselves, but in NCAA 14, the home crowd for Umass (who played generic stadium, rather than Gillette) wore red and blue. I remember Sports Talk Baseball. The Milwaukee logo was some kind of Expos hybrid lol. I will try and find a pic. I love Pittsburgh's lame looking pirate, and I still create the "Seattle S's" in other games sometimes. Like you said, Milwaukee (sorry, "Ilwaukee") essentially steals Montreal's logo with some slight changes, and in return Montreal seemed to rip off Milwaukee's BiG logo! Actually, I still really like that game, especially the stilted robotic commentary. "Ground ball to third. NO: He drops the ball! I can't, be-lieve it." I'd never heard of Sports Talk Baseball, but those logos are hilarious. I love the shortened geographic names especially: Langeles, Sdiego, Kansas (even funnier since it's in Missouri), NYork, Cincin. The Blue Jays logo looks like a Saturday morning cartoon from the 1940s, with a...flower stuck to the side of its head? And what on earth is happening with that Twins logo? "Minn," with the team name appearing to be "Tatatat?"